It's Library Loot time! This week is quite controlled in terms of loot,but I already know that next week is going to be a monster! One of the interlibrary loans looks huge so I am not quite sure how long it will take to read but I will figure it out! Goodbye for Now: a novel by Laurie Frankel - I wish I could remember why I added this to my library request list but I have no idea now! Maybe it was Booking Mama's review. Even if it wasn't the cover would have caught my attention. 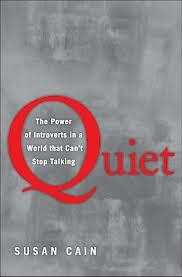 Quiet: the power of introverts in a world that can't stop talking by Susan Cain - I think I first heard of this book when the author was interviewed on NPR a couple of months ago. It has taken quite a long time to get to me since I first requested it, but that's okay. 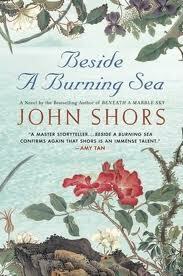 Beside a Burning Sea by John Shors - I have been wanting to try John Shors for the longest time. This is the only one of his books that my library has though. 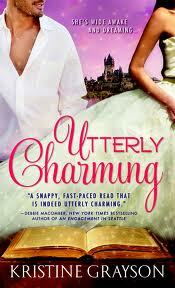 Utterly Charming by Kristine Grayson - I think I saw the latest book in this series on Netgalley but then realised that it wasn't the first book so I had to go back to the beginning. Pretty sure this is a fairy tale retelling romance! I always love it when I forget which book I requested and then suddenly discover a book I haven't been thinking about has arrived at the library for me. It's like a little present from past me to future me. This week I'm reading almost all history stuff. I heard good things about Quiet. Enjoy! Utterly Charming sounds utterly adorable. I'm a fan of fairy-tale retellings myself. I also got Goodbye for Now and Quiet in audio, and am looking forward to reading them both with great relish! 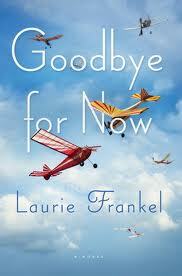 The cover of Goodbye for Now is lovely - enjoy your loot! My library has the audiobook version of Quiet, I'll have to see what you think about it as I'm still undecided about picking it up.